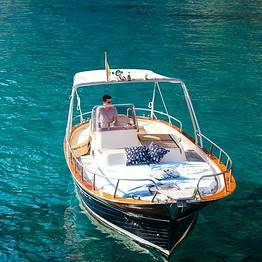 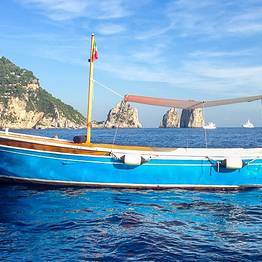 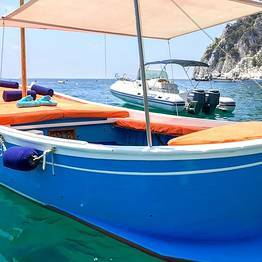 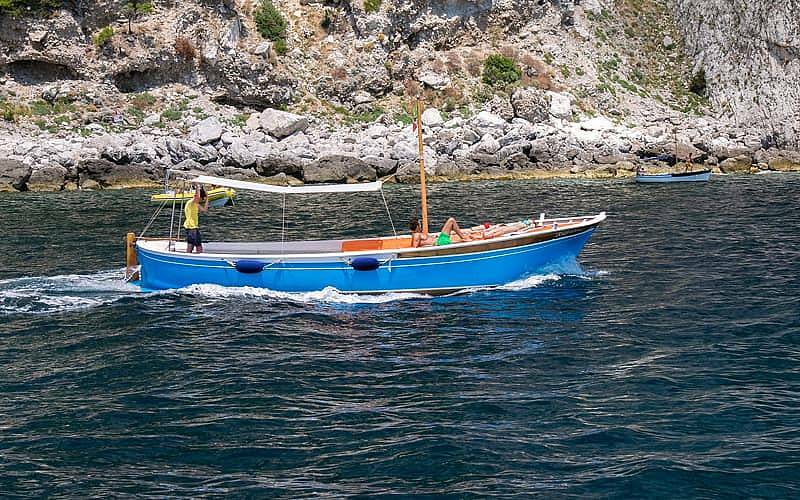 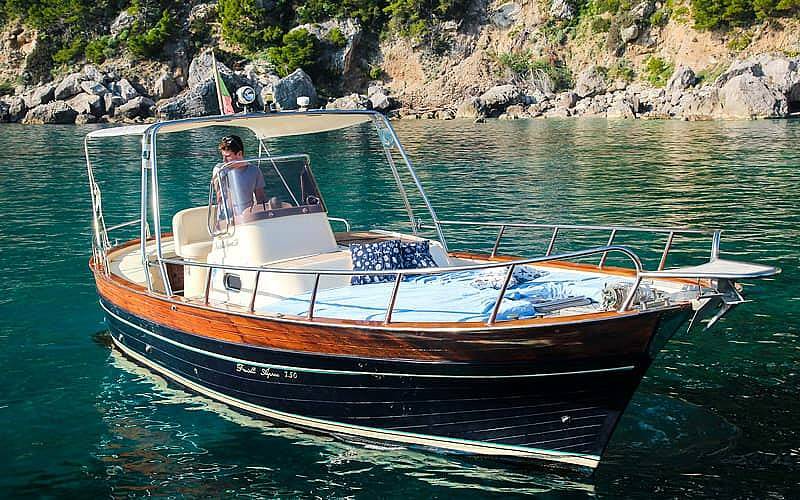 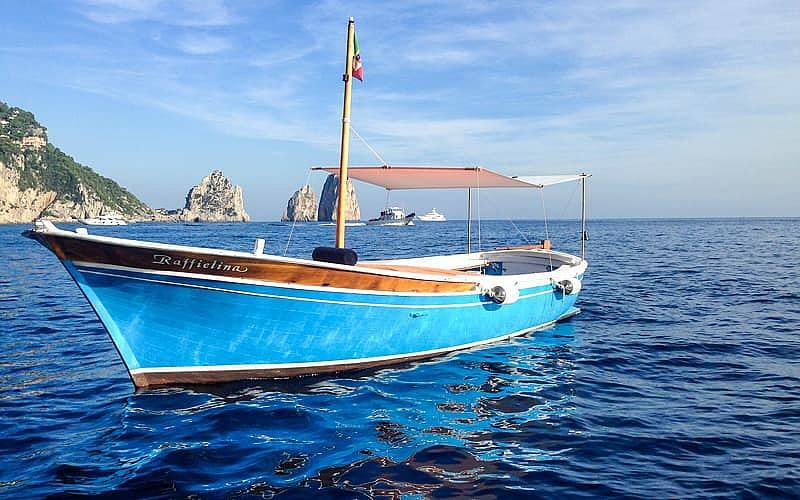 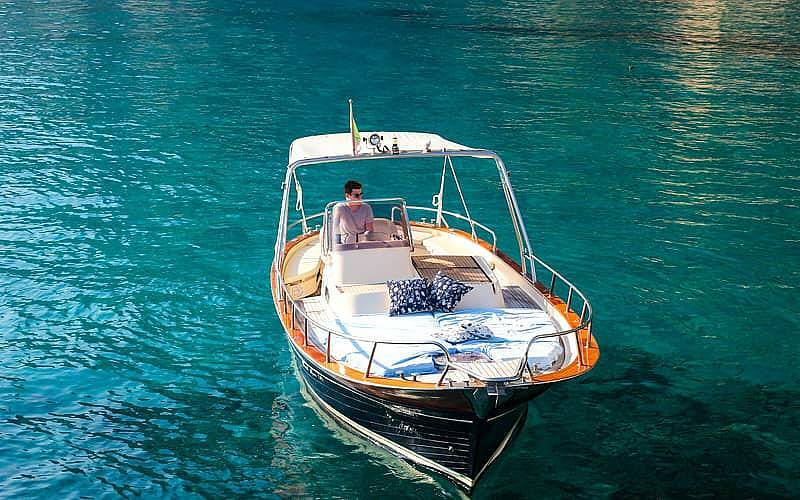 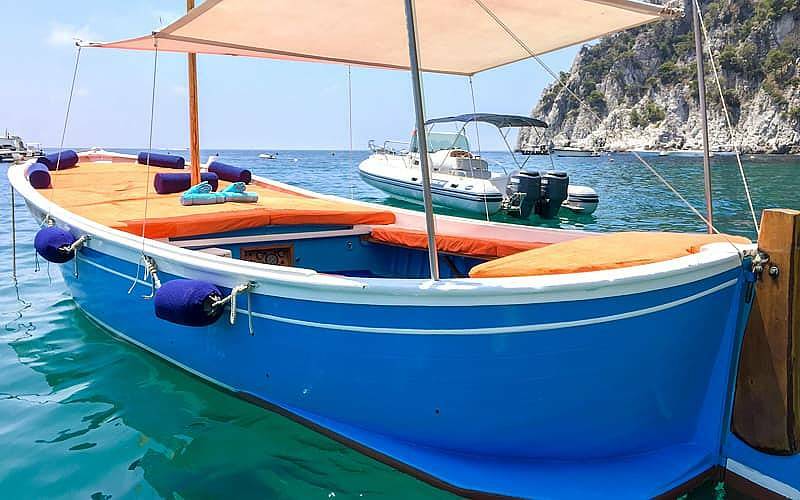 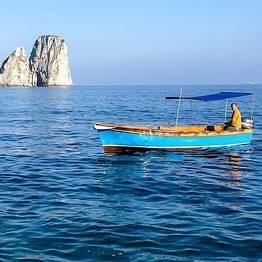 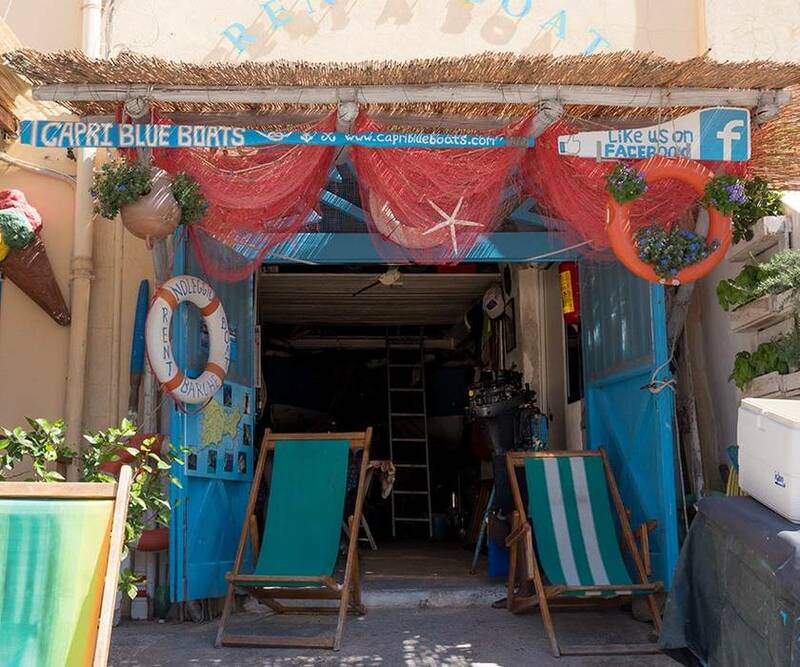 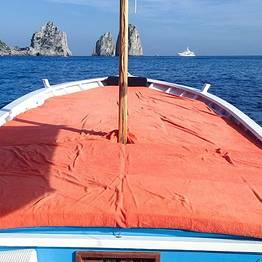 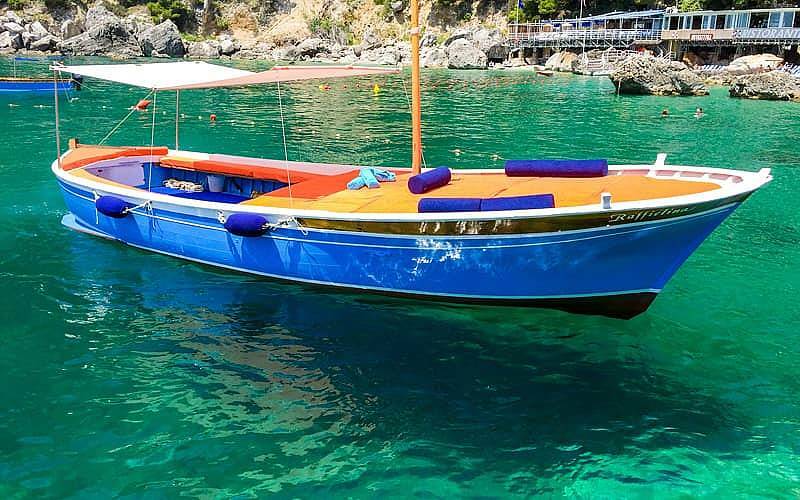 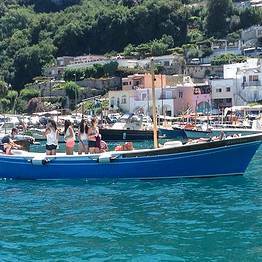 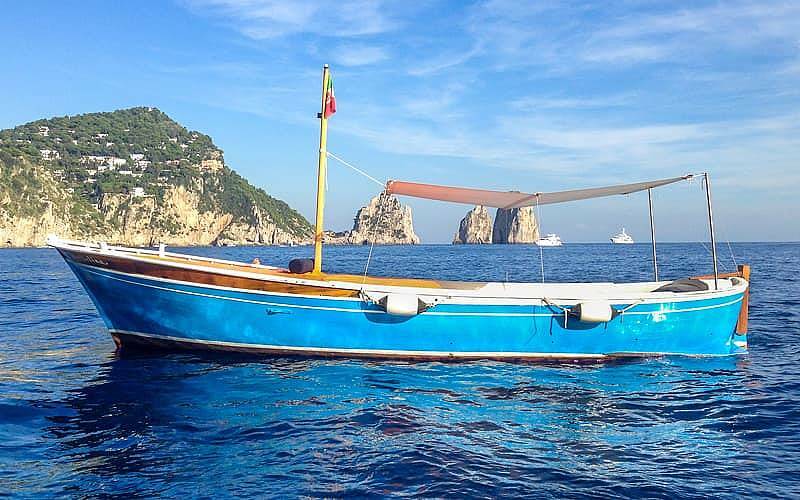 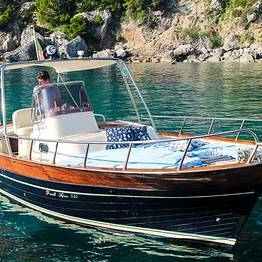 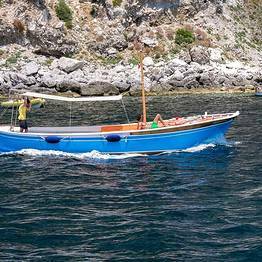 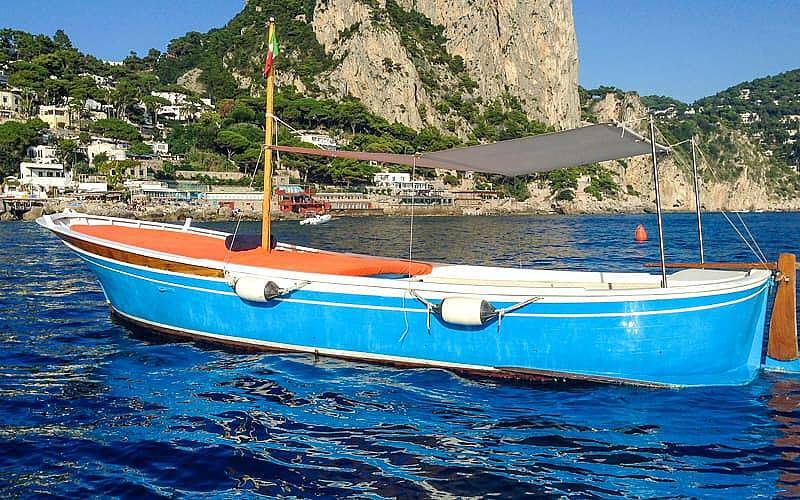 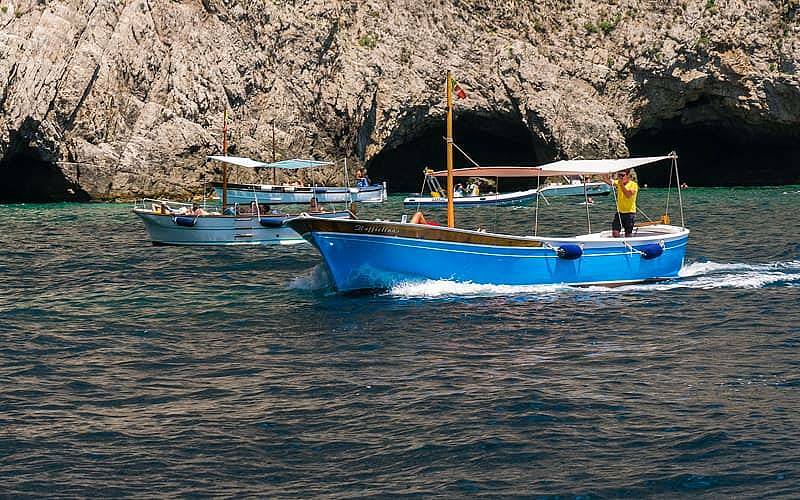 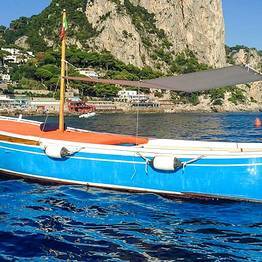 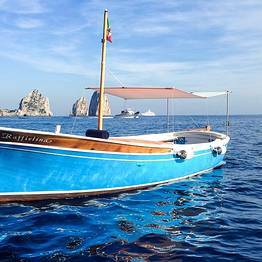 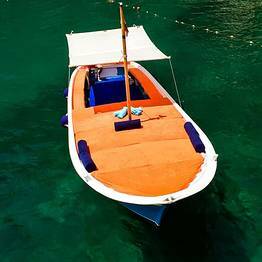 If you've decided to take a boat tour of Capri, choose Capri Blue Boats and be skipper for a day, sailing a traditional island boat along the coast...or relax on board with a boat tour with skipper, who will take care of showing you the prettiest spots on the coastline. 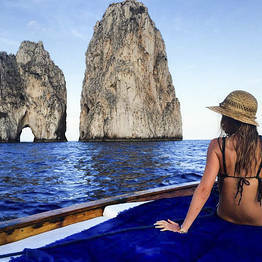 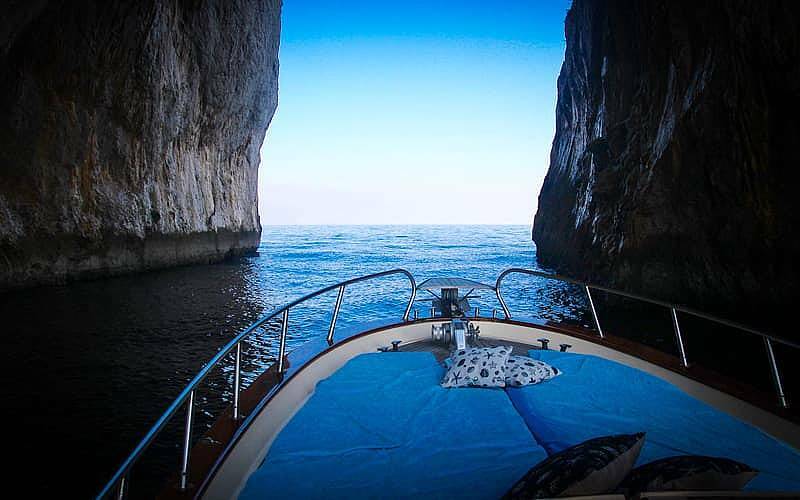 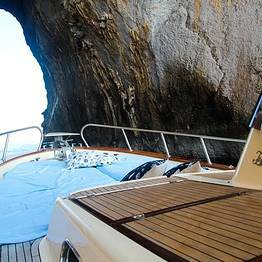 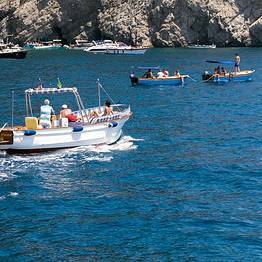 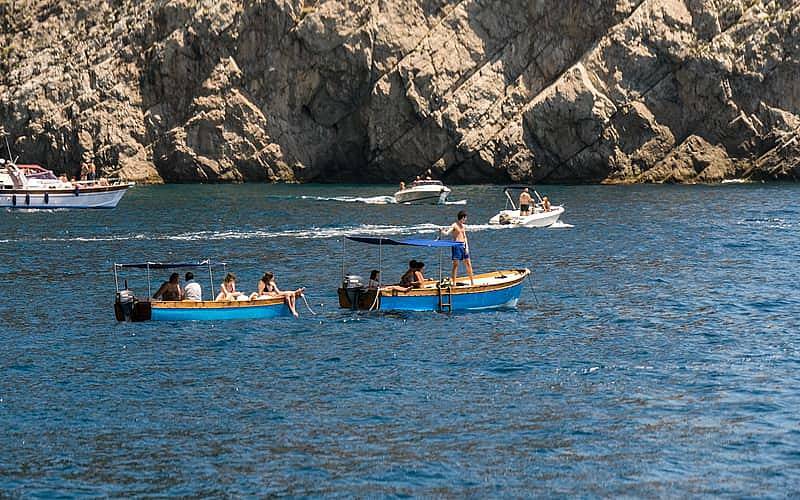 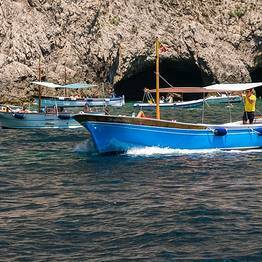 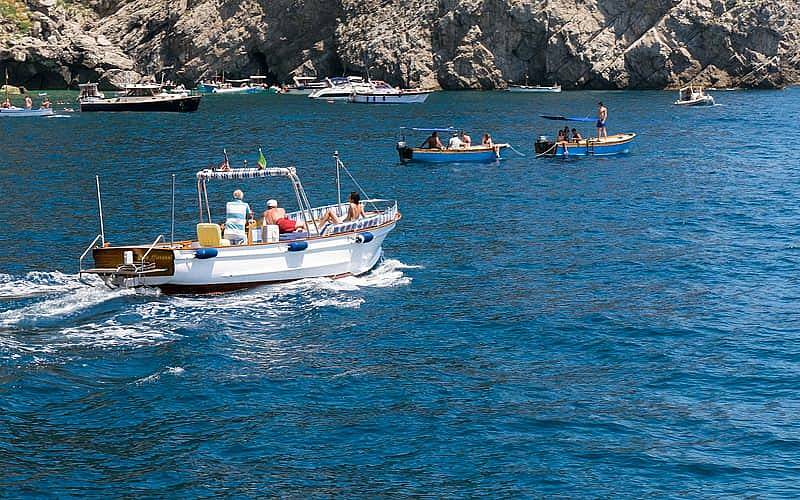 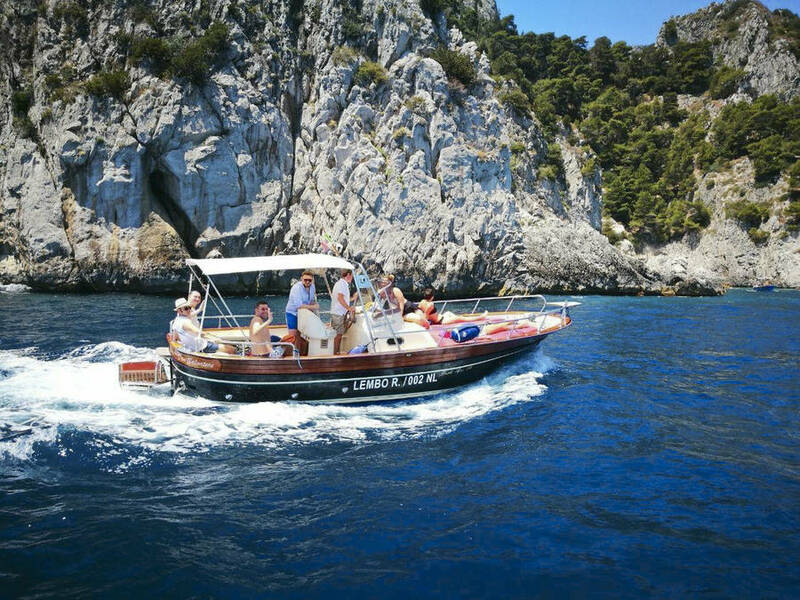 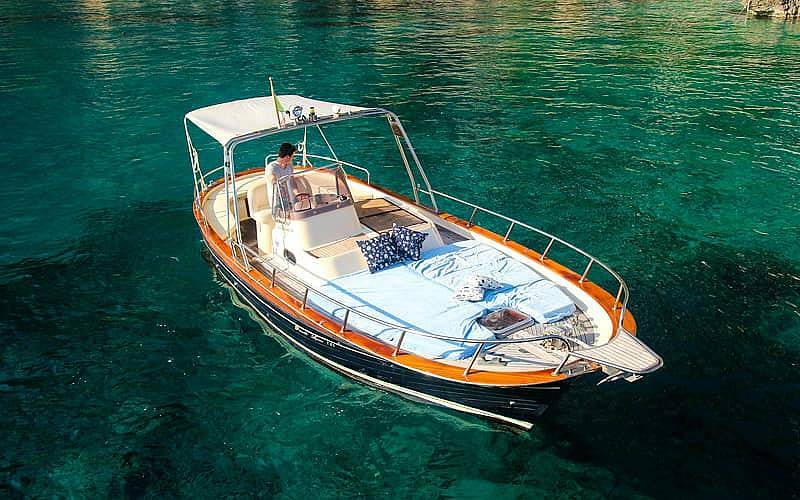 Tours and charters depart from Capri on the Marina Piccola beach, the most beautiful stretch of island coastline, and you can reach the Faraglioni, Green Grotto, White Grotto, Punta Carena lighthouse, and famous Blue Grotto in just minutes. 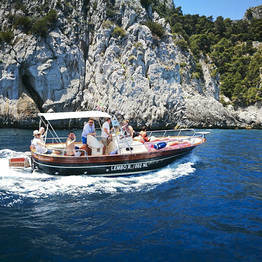 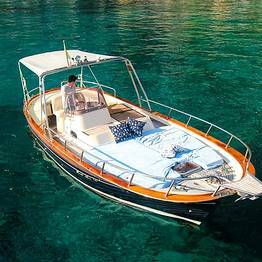 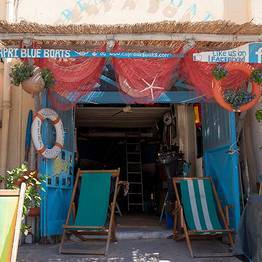 You'll have plenty of time on board to admire the island by sea and also stop to swim in the most spectacular bays. 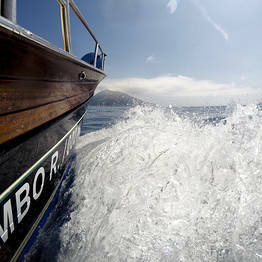 Drop anchor to lunch at a seaside restaurant if you'd like...everything is easy during our tours. 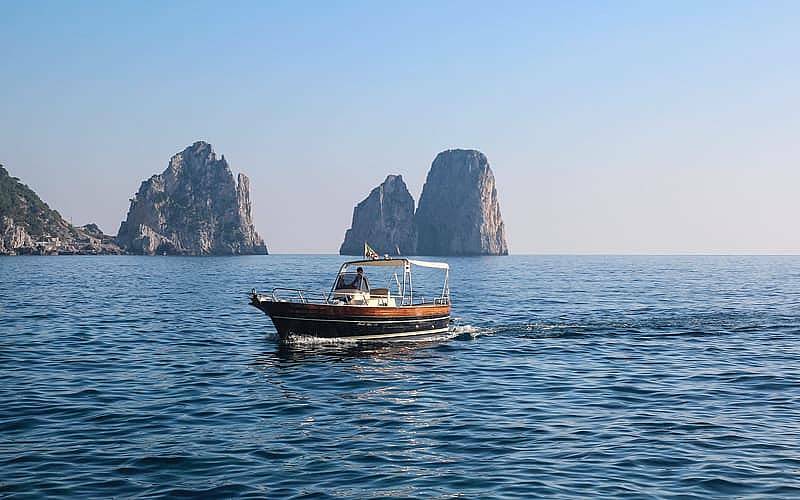 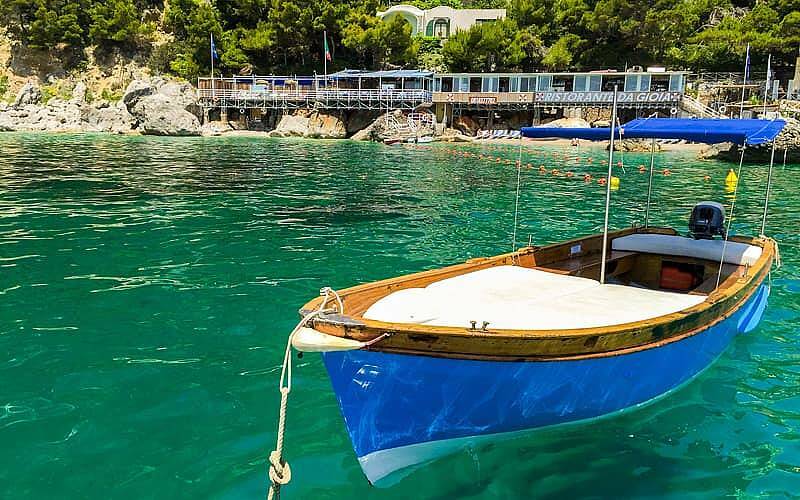 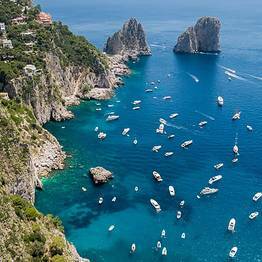 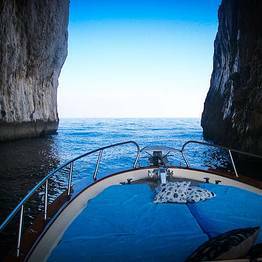 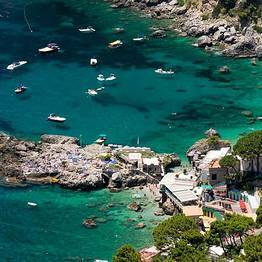 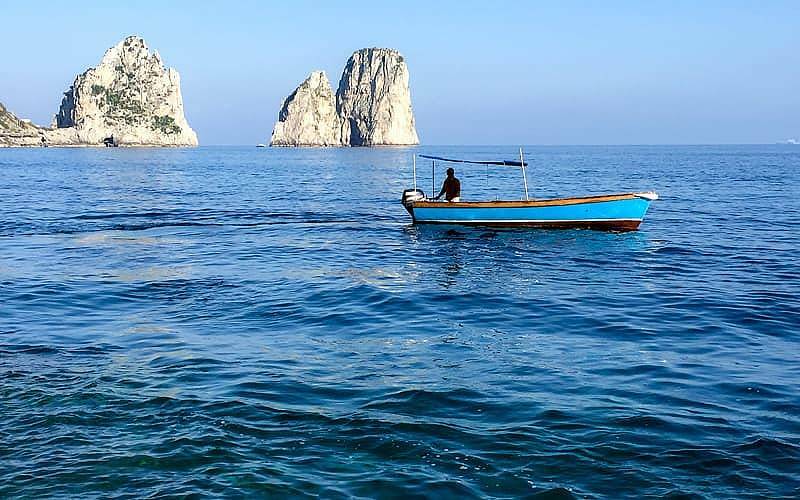 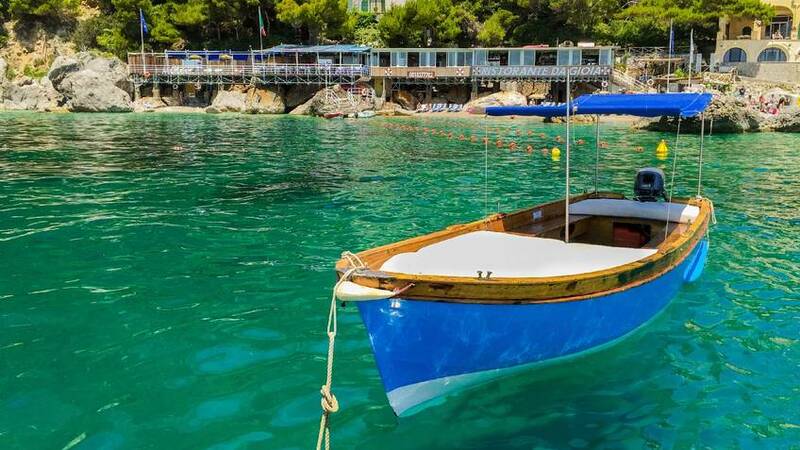 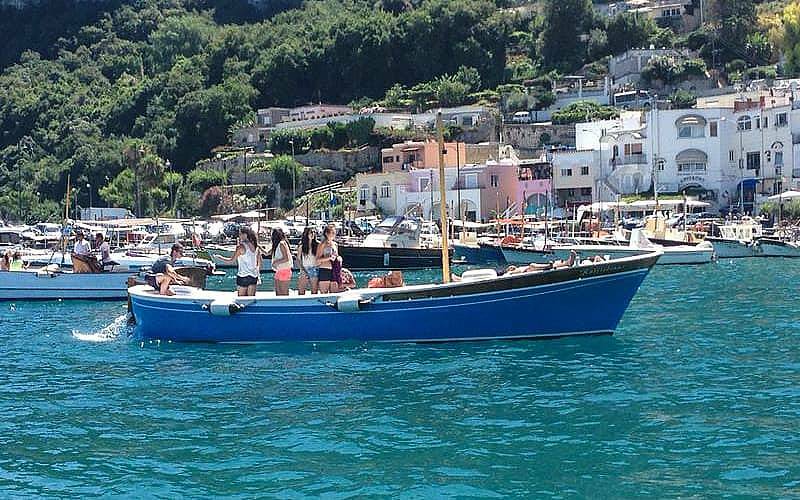 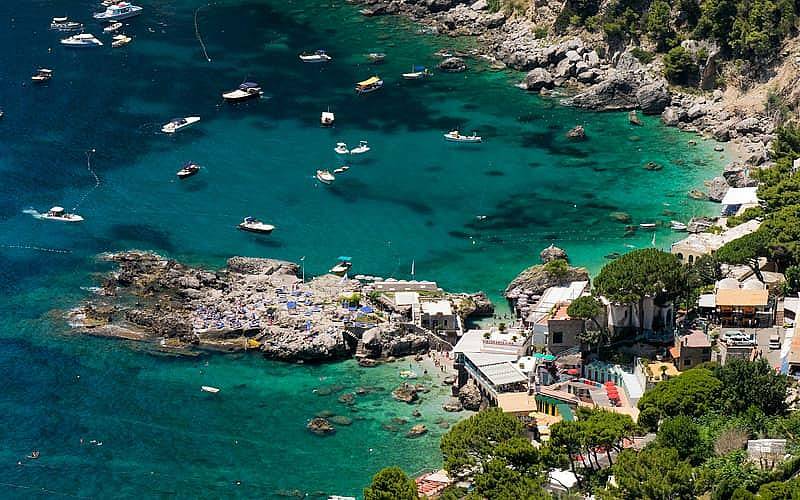 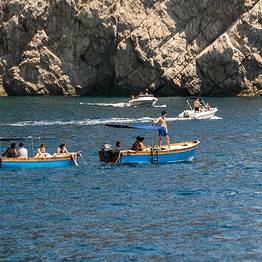 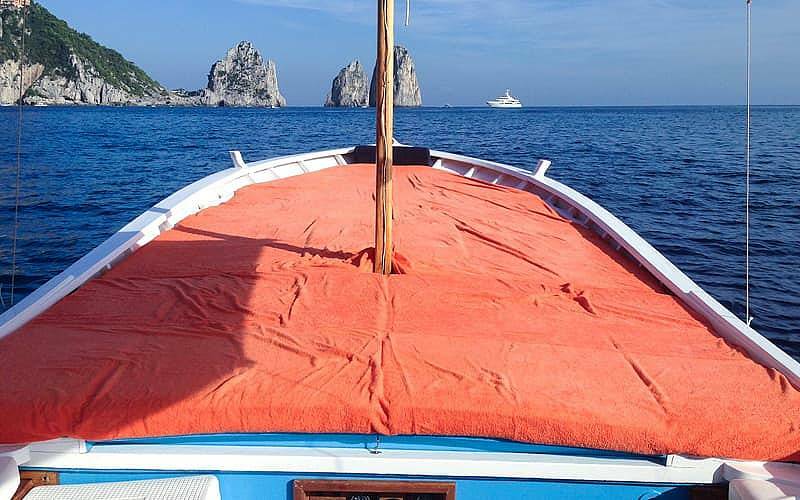 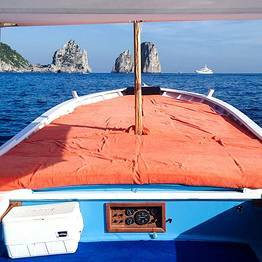 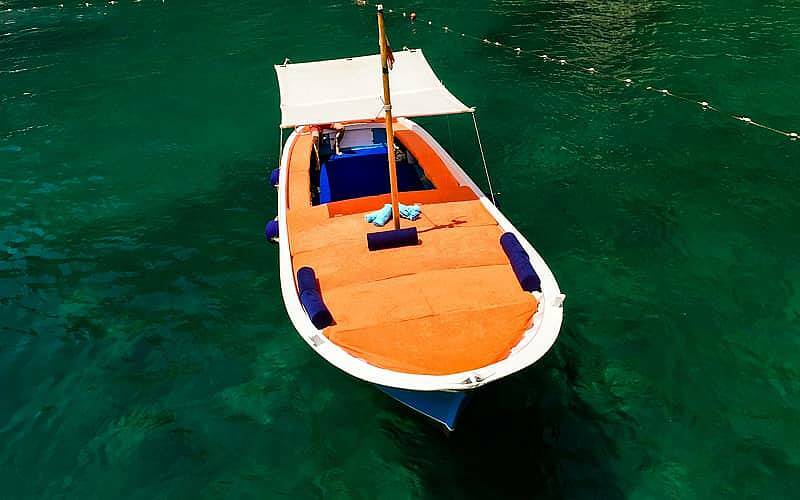 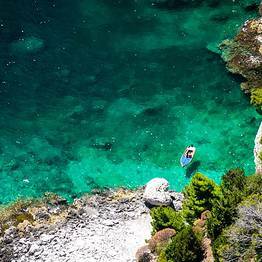 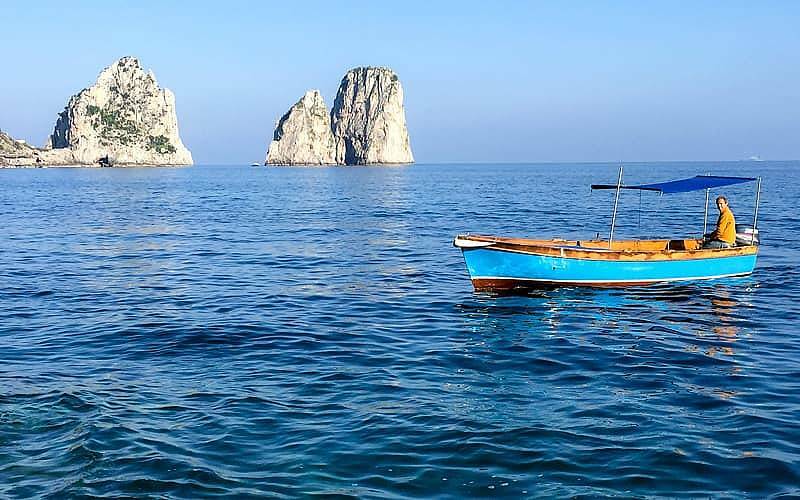 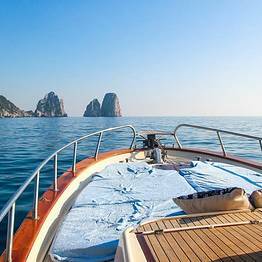 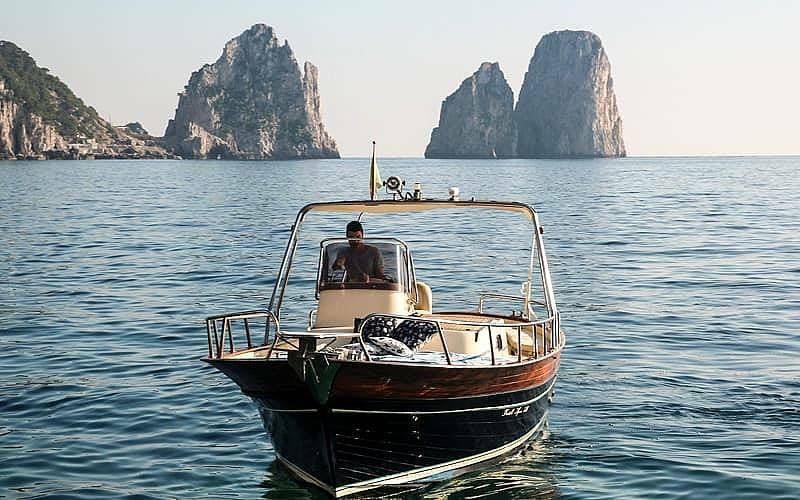 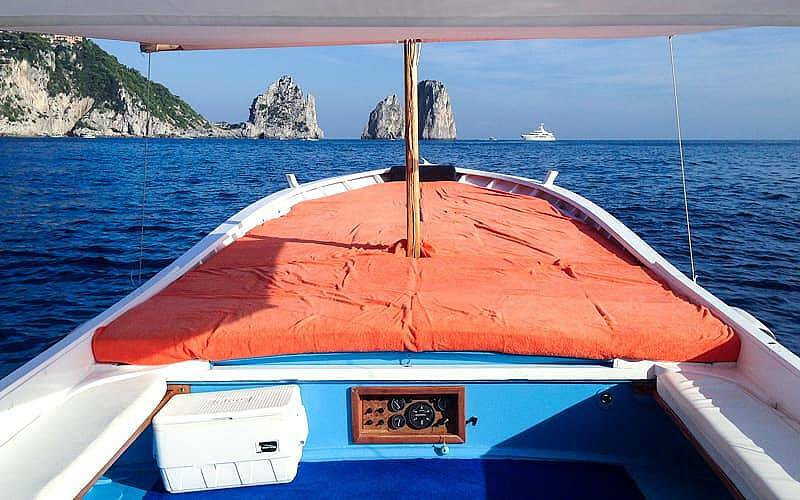 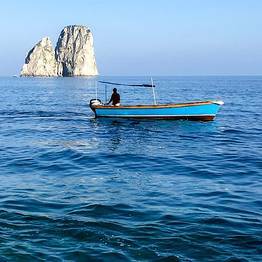 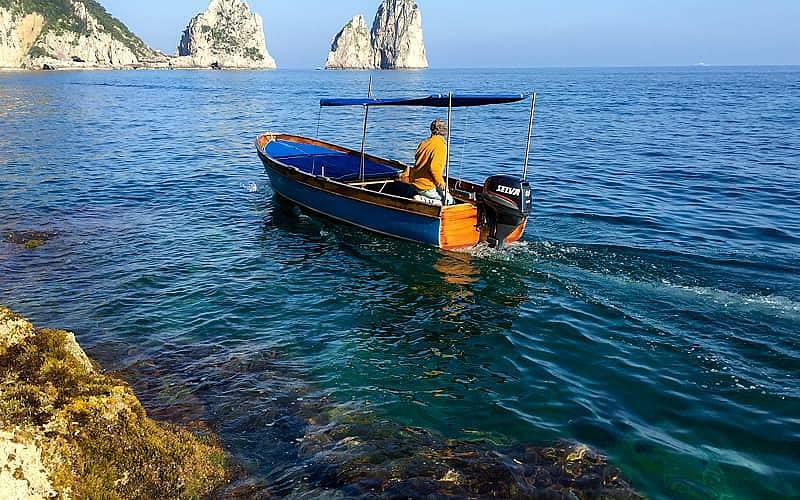 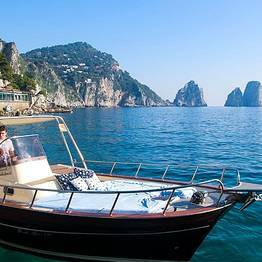 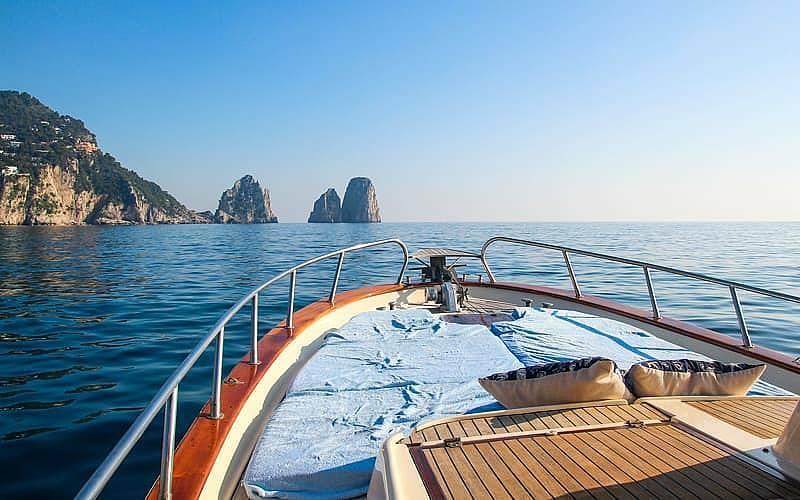 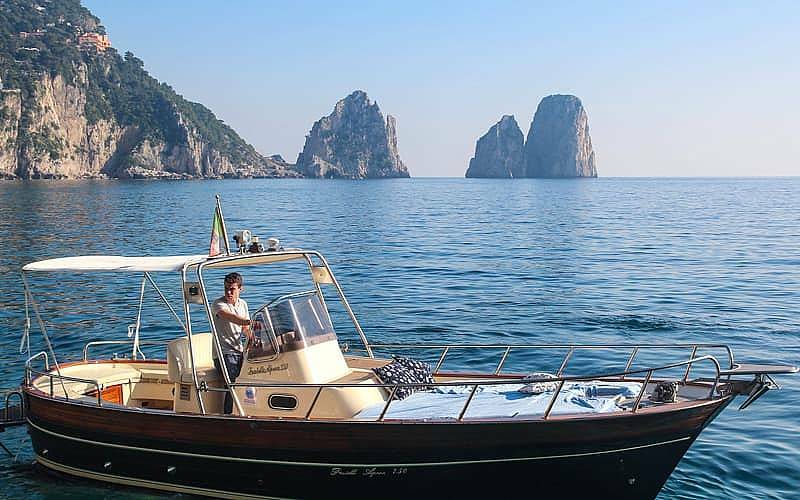 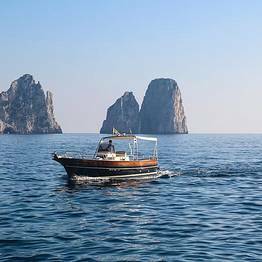 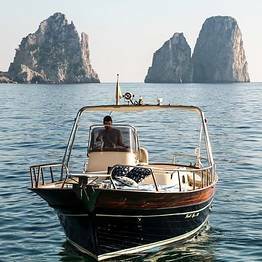 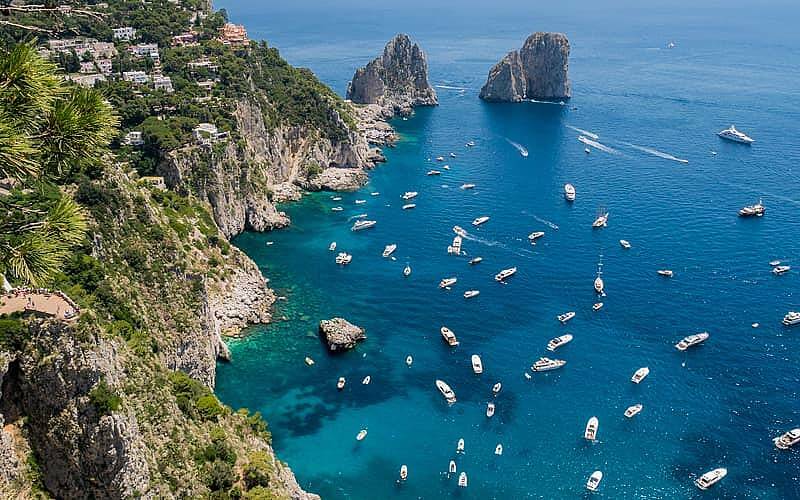 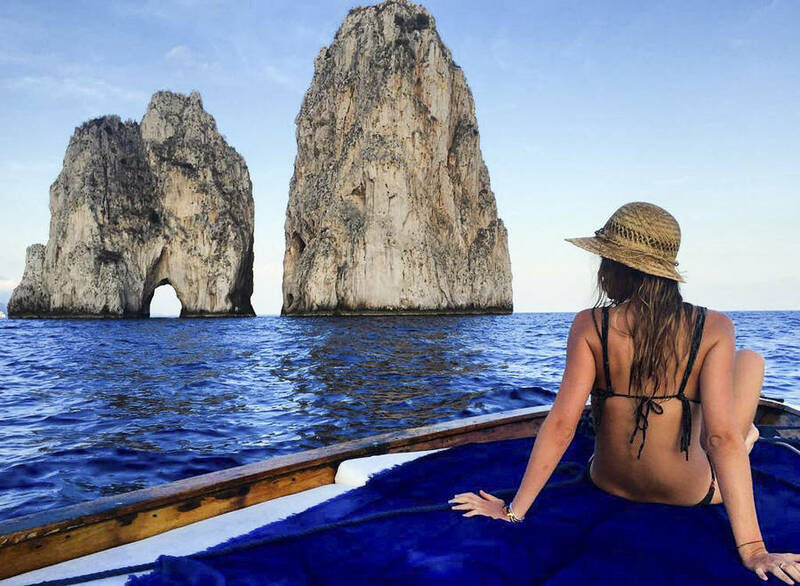 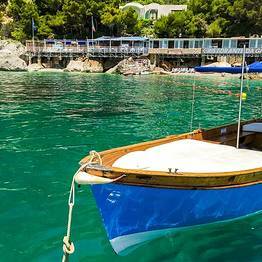 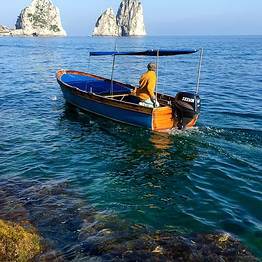 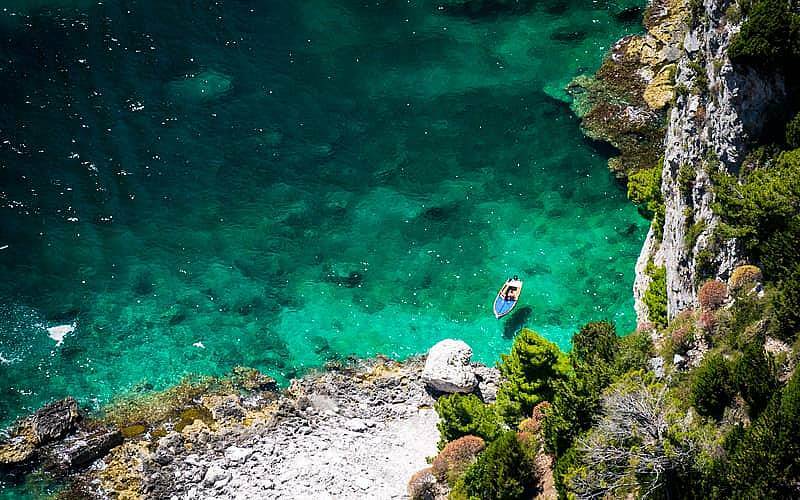 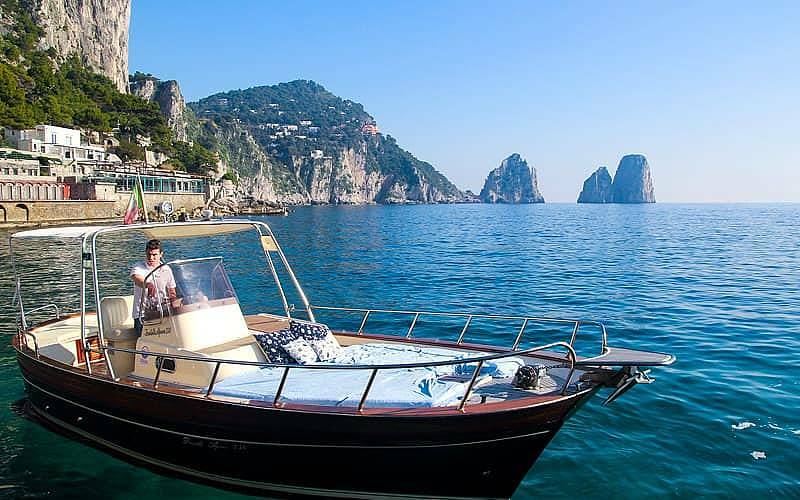 Whether you are interested in a simple sail around the island or an entire day at sea, don't miss out on this unforgettable opportunity to discover the beauty of Capri and its crystalline waters on board a traditional island boat. 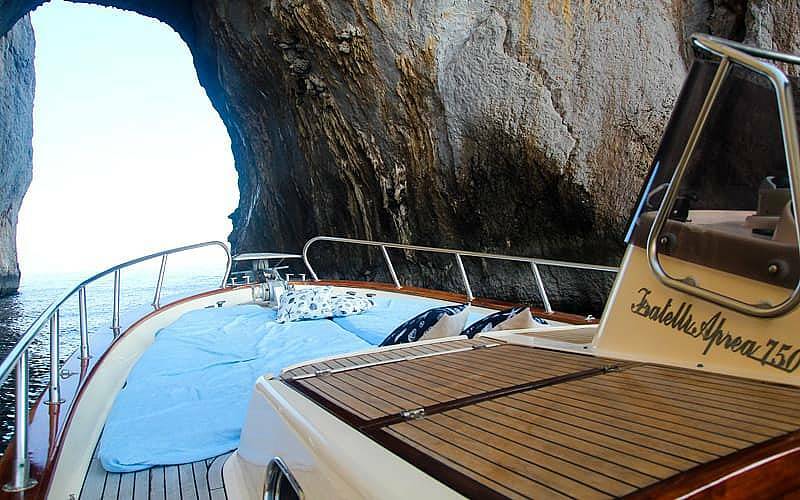 Each craft has a padded sun deck, awning, shower, and beach towels , as well as an ice chest to keep cool drinks. 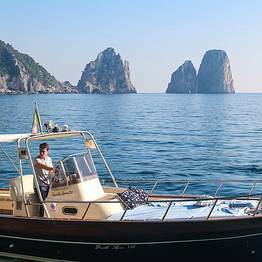 You can also request a picnic on board to celebrate a special event or spend a romantic few hours beneath the towering Faraglioni!